When the post-match analyst professes, ‘well fans this has been a game of two halves,’ what is the real meaning behind the often used stock phrase? Perhaps there are two different stories to be told, in the first half a team is in the ascendancy whereas in the second, well let’s just say it’s a different story? For many who have played the so-called ‘beautiful game’ there is the life of a performer with press attention, fame and adulation, then there is the life of an ex-footballer, where getting the mundane routine of normality is perhaps the biggest challenge. For most who retire in their early thirties, it is likely the first half is about striving to reach the pinnacle, while the second, which although longer, is played out in a make-do choice of career. 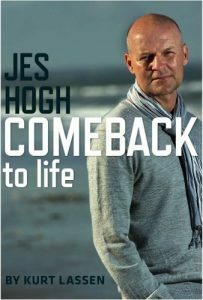 The life of Danish footballer Jes Høgh was following a similar course, until one January night in Copenhagen, his life course took an abrupt change of direction. With 57 caps for the Danish national team and a cabinet full of trophies after 15 years of professional football, with clubs such as Aalborg, AaB, Brøndby, Fenerbachçe, and Chelsea, Jes Høgh can deservedly look-back on a career in which he scaled the heights of the game. First, he was an attacking midfielder, but more latterly he found his calling as a central defender. But it wasn’t always football that caught the attention of Jes, handball and more surprisingly cricket vied for his attention. The thought of playing against Denmark at cricket would hardly strike fear in the test playing nations that occupy the top end of the cricket rankings, but the same could also have been said in 1992 when the Danish football team had upset the odds against Germany in the final to lift the UEFA European Championship in Sweden. Jes had been playing football since he was six years of age, but never really thought of making it a career, until one day he arrived at Aalborg where they gave him a trial. He was twenty years old and ready to capitalise on his chance. Train, eat, sleep and repeat, became his routine as he grew in stature in the Danish league. Jes made his national team debut in 1991 in a match against Hungary, and what a start he had, scoring the Danes only goal in a 1-1 draw. By the time Euro 96 came around Jes was a regular, carving out a reputation as a skilful player able to keep potent attackers quiet for 90 minutes. His move to Fenerbachçe, where he made 115 appearances, was the next stage of a burgeoning career where became the rock of the team that won the Turkell Super League. 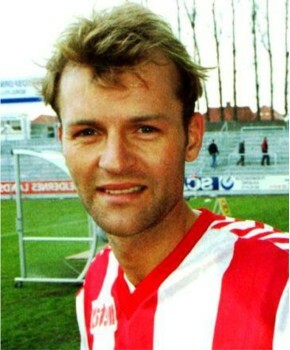 Jes played in the Danish World Cup team in France 98 and was in the squad for Euro 2000. “I did not get even a minute of playing in Euro 2000, due to an injury,” says Jes, who had damaged his right ankle against Sweden. One year later at 35 years old, retirement was calling. Not surprisingly with his intimate knowledge of international football, his warm personality and engaging character, a new life in TV beckoned. He had taken on the role of commentator and football analyst when one night everything changed. His new life was not that of a TV presenter but instead that of a stroke survivor. He had returned to his hotel room after having had dinner with his TV colleagues. Jes got into bed and soon felt he was losing the right side of his body, “first it was my leg, then my arm and finally my head,” says Jes who “was just trying to survive… everything was chaos, and all I could think was what happened, what happened, what happened.” Four or five minutes passed, unable to speak, thankfully his cell phone rang. Somehow Jes managed to pick up the phone and with no words he tried to ask for help. On the other end of the call was his ex-wife who realised something was seriously wrong before calling the paramedics. That call may well have saved the life of Jes. The fast response of the medical services certainly limited the damage that was taking place due to a massive blood clot that had formed on his brain. After three days of emergency treatment in Copenhagen came the long road back to recovery, first in Aalborg, then in the Brønderslev Neuro Rehabilitation Center. The family name Høgh comes from a Norse word meaning hill or mound and Jes was about to start slowly but surely climbing back to fitness. The second half of his life had started with five long months in the hospital, followed by hours of patient rebuilding work. Jes had to reconstruct both a damaged body and a damaged mind. Using his athlete’s mentality, Jes turned to his trusted mantra of, train, eat, sleep and repeat, “working like crazy” to wrestle back function in the right side of his body and relearning how to speak. Gym and speech therapy sessions occupied much of the following three years, as Jes slowly but surely progressed. Jes already knew golf even in his football days and played regularly with other teammates. With a handicap of four and a game built around a sure touch on the greens and driving distances that most amateur players would envy, Jes was a confident player able to hold his own on the course. 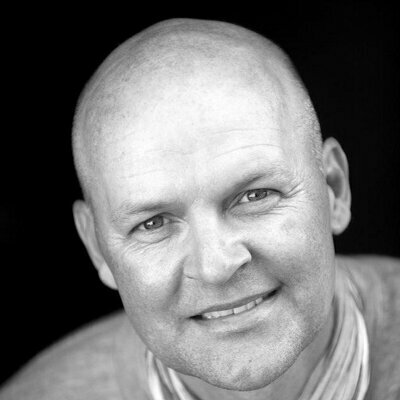 Golf was important to Jes, it kept him competitive, and involved in a healthy activity, but it was after his rehabilitation that it became crystal clear just how vital golf was to him. Today Jes plays several times per week, and says, “in the summer months…there is something about going to the course around eight in the evening to play a few holes alone”. Here the tranquillity he finds to be alone with his thoughts, just swinging and walking are priceless. He plays the game using only his left arm and has a handicap of 34, but with a tactical awareness of someone who has played the game to a much lower handicap, Jes is a great partner to have in four-ball matches. When he is on form – well the competitive juices come flooding back – and just as in his best central defending days, he is hard to beat. Train, eat, sleep and repeat, the mantra that has served Jes so well over the years is helping to maintain the gains he has made to recover his body and mind. The second half is just getting started.